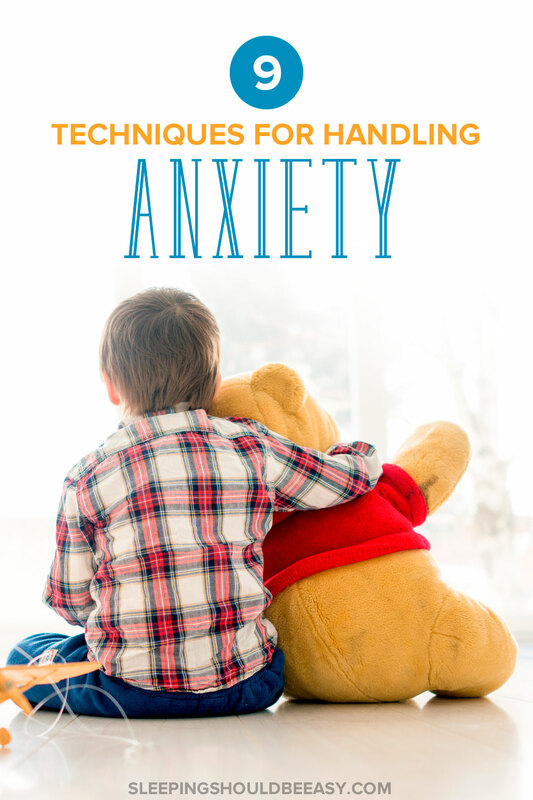 Having trouble dealing with anxiety in your child? Learn useful techniques for anxiety in children you can apply immediately. Anxiety. I tell myself everyone deals with the emotion to varying degrees, including my kids. It’s especially challenging handling anxiety in children because they’re still learning how to cope with emotions, especially difficult ones. A change of plans: Your child throws a fit because you have to leave the museum sooner than expected. New environments and people: Entering a party with unfamiliar people can send your child clinging to your leg. A disruption of routine: Not having his lovey before nap time leads to a vicious tantrum. I can find it hard to be supportive and calm while trying to understand where my kids are coming from. At times, I’m more frustrated at their inability to manage anxiety than I am patient and supportive of the difficulty they experience. What can parents to do to help? I’ve learned a few techniques that have guided me each time I notice anxiety rising in my kids. These tips remind me that this is normal—however frustrating—but also manageable. Let’s say you put your toddler on the slide for the first time. You expected him to feel thrilled and exhilarated—instead he’s terrified of the slide. And after his meltdown, it’s tempting to vow never to place him in another slide ever again. Why bother, when he’ll just freak out every time? But don’t avoid the experiences that triggered your child’s fears and anxieties. Doing so lets his fear “win” and teaches him to deal with his anxieties by avoiding the triggers. As much as we want don’t want to see another meltdown, avoiding the experiences reinforces anxiety in children. It confirms your child’s suspicions that he should avoid slides so he doesn’t feel afraid again. 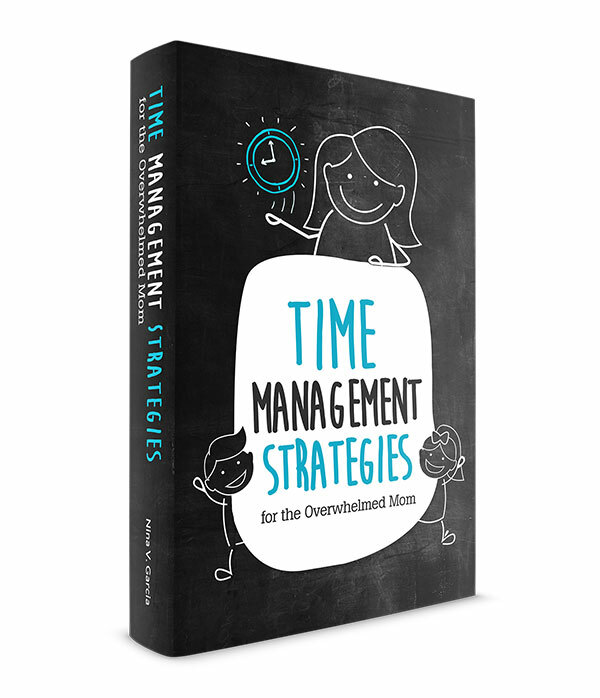 Instead of avoiding the triggers, help your child find a better way to face or manage them. I don’t suggest putting him on a slide every day until he “gets over it.” That uses fear and doesn’t respect his genuine fear of the slide. But try a gradual approach: introduce the slide a few weeks later and see how he handles it then. Read what to do when your child is scared at extracurricular activities. Set expectations so your child feels more prepared for what’s ahead. Even with a new environment, your preparation can help him anticipate and relate what he eventually experiences to what you’d told him earlier. Let’s say your child is going to an event he’s never attended. Let him know who’ll be there, what the activities are, and when you can expect to leave. Maybe he’s about to start a new summer camp, art classes, or even going to a city-wide Easter egg hunt. Describe what he might expect to see and do. You might review the summer camp agenda and remind him what time you’ll pick him up. Maybe you’ll describe the awesome activities he’ll do at art classes, or that he should find eggs and place them in his basket. 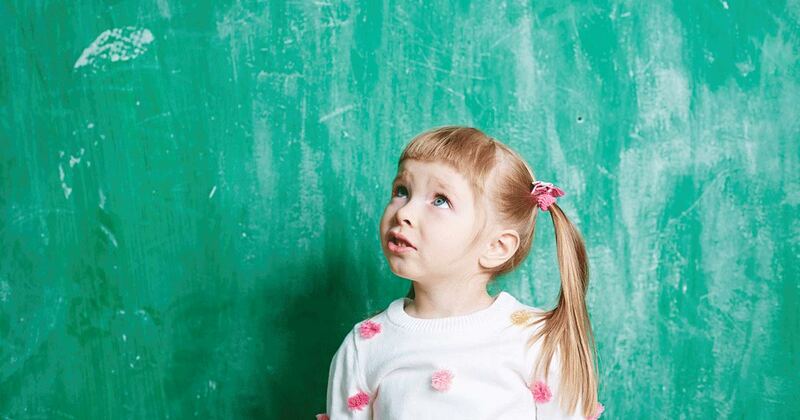 Having expectations reassures kids because the events won’t come as too much of a surprise. 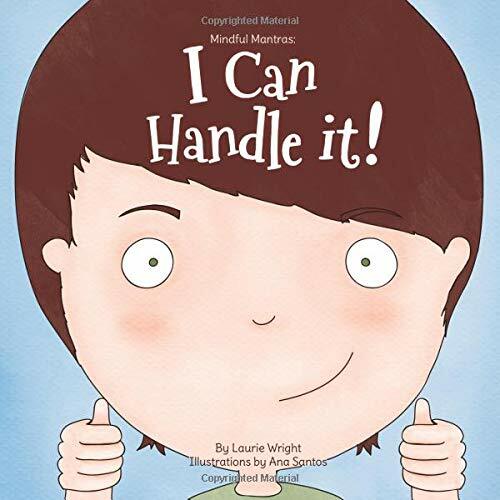 How can you teach your child to face his anxieties? Help him practice coping methods. Let’s say you’re hosting a big family party. Your child will face people he may not normally see, and some of these adults can even be overwhelming (think aunts who demand kisses and uncles who tease). Tell your child, “You can go to your room when it feels like too many people are out here, okay?” Suggest other ways he can cope with his feelings, from carrying his favorite teddy bear to finding a quiet space for himself. And be mindful of your child’s signals. When you see him not enjoying himself, lead him to a quiet space so he can catch a break. Why is it important to give your child coping methods? You’re helping him build confidence in his ability to cope. As scary or unpleasant as these feelings might be, he’ll come to learn that he has the ability to manage them. One common emotion many children feel is separation anxiety, or the distress your child feels from being apart from you. Separation anxiety is normal and even a sign of a healthy parent-child relationship. But dealing with your child’s emotions can be difficult. Your child needs your reassurance—and follow through—to keep his fears at bay. Let’s say he’s starting preschool and is struggling with the transition of being away from you and in the hands of strangers. Reassure him that you’ll pick him up right after school, even giving him a time he can count on such as 3pm or after snack time. Then follow through as often as possible. Stick to a regular routine so he can count on you always picking him up at that time. At social gatherings, stay nearby. Wandering off to chat with your cousins isn’t going to help your child’s anxieties. Keep him close by until he warms up enough to his new environment. Read more about coping with separation anxiety. Are you scared of spiders? Watch your reaction when you see one in front of your child. Shrieking in fear sends the message that spiders are terrible. Or let’s say you’re outside with your child and a person walking their dog is approaching. Assuming the dog is under control, you don’t need to shield your child from every dog as if it’s ready to bite. Instead, say, “Look at the cute dog!” and phrase it in a positive way. Let’s say the dog is too feisty or the owner isn’t a “pack leader.” Pick up your child or step in front of him while remaining friendly to the dog and dog owner. An overreaction teaches him to feel scared instead of discerning, curious or brave. Anxiety in children is made worse when we don’t take their emotions seriously. We brush it off, figuring it’s petty to be afraid or anxious about it. We’re impatient that they still throw tantrums or make it difficult on us. Sometimes we even wonder how our personalities can be so different. Here’s where empathy plays a huge role in managing anxiety. Rather than brush aside your child’s fears, acknowledge the emotion and what may have caused it. Tell a story of how you’ve felt the same way and how you managed. Not only do you reassure your child that his feelings are normal, you’re also letting him know that you felt something similar as well. Acknowledging his feelings doesn’t encourage him to keep feeling anxious—it actually lessens his anxiety when he knows you’re on his side. And connect with your child by relaying your feelings and how you overcame them. He know you’re here to help, not reprimand or belittle his anxiety. Social settings can be one of the most difficult challenges for an anxious child. While you don’t want to hover over your child, step in when you see family and friends overwhelming him. Maybe an uncle is playing too rough, or your friends are clamoring to talk to him or give him a hug. Establish space to help him adjust to this new environment and warm up to others. And don’t force your kids to hug everyone. It violates his personal space and can make him more anxious. 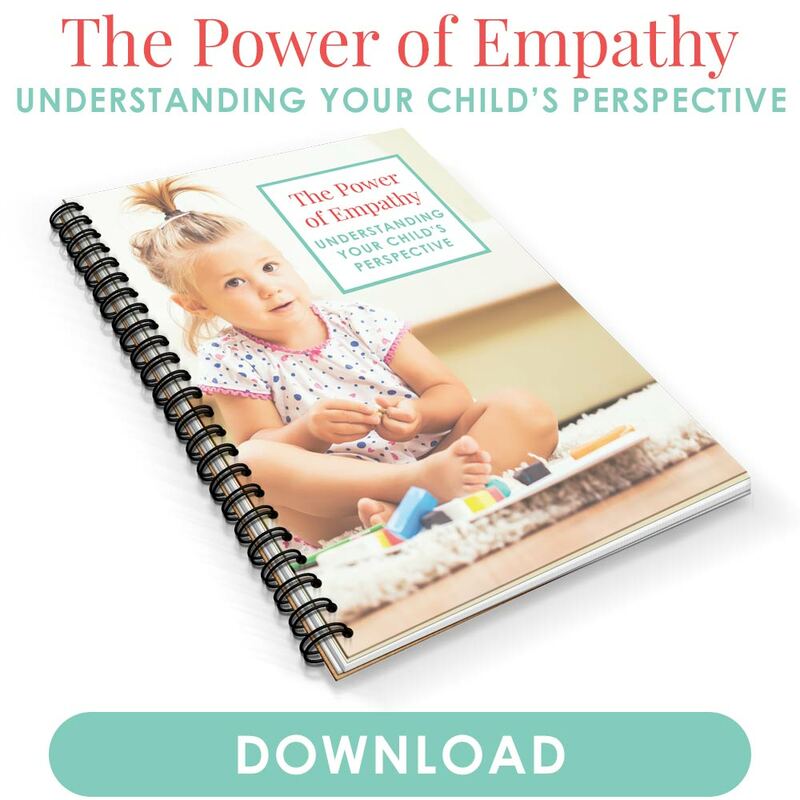 Read why you should intervene when adults overwhelm your child. I’ve always believed that praising positive behavior is far more effective than correcting negative ones. He’s already behaving in ways you’d want to see continue—acknowledging his behavior encourages him to keep up the good work. And you can praise for even the smallest of progress! Maybe he took to swimming class happily or you noticed he got his teddy bear when a party got overwhelming. Praising him for ways he manages anxiety encourages that behavior. It can be frustrating when it seems like your child is the only one who doesn’t do X, Y and Z. He’s afraid of this and that when other kids can’t stop talking about it. Remind yourself that every child is different. Just because many kids enjoy going down the slide doesn’t mean everyone does. Think of the things your child has braved that other kids would shy away from. Then, remember that even kids who seem to brave everything also have quirks and fears as well. They might shy away from meeting new people, or can’t seem to calm down from a panic attack. Accept your child for who he is, with the hope that he can grow the coping skills necessary to overcome his anxieties. Be realistic about your own expectations as well. Keep in mind your child’s temperament when you meet new people. Realize that shopping for five hours with huge crowds can take a toll on him. And never withhold your love or attention as a form of erasing your child’s anxiety. Children don’t need much in this world, but your love is one of them. Withholding your love is not an effective way of teaching him not to be afraid, but rather does the opposite. It lets the anxiety win when it’s powerful enough to make mom and dad upset. Read more about accepting your children for who they are. We all have our fears and quirks, our anxieties and apprehensions. Children haven’t had the same practice we’ve had to reassure themselves everything will be all right. As children inexperienced with the world, they face way more new experiences than we do. Be gentle, supportive, and prepare your child for those new events and experiences. Praise him for a job well done, and always be that safety anchor he can turn to for reassurance. Your turn: What anxieties do your kids have? Have there been unusual anxieties your kids have faced? How have you dealt with anxiety in children? Let me know in the comments! Well I have much more anxiety these days, but I think the tips are spot on. I don’t think I suffered so much as a kid, but I was definitely more anxious than my friends. The early loss of my father probably triggered it. And I think empathy and being an advocate are the two most important things my mom did for me. That’s good to know what your mom did to help you get through the anxiety as a child, Tamara. I’m forwarding this to my sister. She might really benefit. Thanks. Thanks Betsy—hope she finds it useful. I would add, talk to your doctor if your child shows exceptionally high levels of anxiety. There is such a thing as clinical anxiety, and there are both therapies and (for very severe cases) medication that can help! Excellent list Nina! I can’t recommend No#2 and 7 enough! The first makes a massive difference to Mushroom; if he knows what to expect he’s much calmer! Number 7 is a tricky one, especially when others might insist your ‘spoiling’ him by giving him a choice that goes against tradition/cultural expectations but it’s so important for children to know that they are in charge of their own bodies. Thanks, Rachael! And yes, one of my kids does so much better when he knows what to expect! I’ve seen the difference and have avoided many catastrophes by giving him a heads up! And vice versa, he has gotten upset when he’s caught by surprise. Thank you, and that’s awesome to hear that she has been able to manage it. Do not let anxiety kills a day of your life. As I observe 80% of children are suffering from Social anxiety. They are aggressively dancing around with a hairbrush as a microphone singing random songs but when they are in public they have that don’t-look-at-me and don’t speak and they won’t know you’re there. At their young age, we should practise them to socialize with other people. Great post. I’m guilty of #5 (spiders!!!) but, other than that, I’m pretty good at this stuff. It’s sad to see your kids feel this way but the relief when you can help them or at least show some understanding is a gift. It’s definitely hard to see your kids anxious, and a bit frustrating too (“Why can’t they get over?”). But yes, learning to work with them rather than make them feel worse for it is priceless.